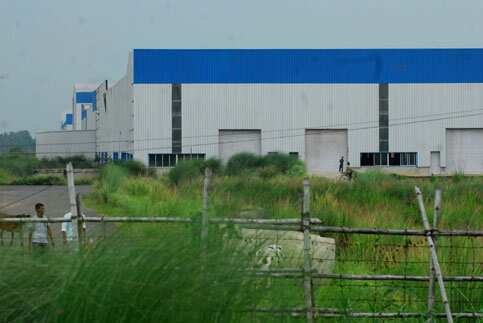 Singur (West Bengal): West Bengal chief minister Mamata Banerjee on Monday said Tata Motors Ltd was welcome to set up a factory on 600 acres of the 997-acre plot originally allotted to it for manufacturing its small car. The remaining 400 acres will be returned to the original owners, she said. Banerjee was speaking at Singur exactly five years after she, as an opposition leader, launched an agitation against Tata Motors’ small car factory. The chief minister was referring to the ongoing case in the Calcutta high court where Tata Motors has challenged the validity of the Singur Act, exercising which the state seized land leased to the carmaker and its suppliers. The state government has defended the land seizure in court saying the carmaker had abandoned its factory. Tata Motors has told the court it was forced to relocate the plant to Sanand in Gujarat because of violent protests spearheaded by Banerjee’s Trinamool Congress. The state government was committed to facilitating industrial development in Singur and its neighbourhood, Banerjee said. “We will balance (the interests) of agriculture and industry in such a manner that a model will emerge from Singur," she told Singur’s farmers, reassuring them that she stood by her promise of returning at least 400 acres. The Supreme Court has restrained the state government from redistributing the land until the legal validity of the Singur Act is established in court. In Kolkata, announcing another pro-farmer initiative, the state’s commerce and industries minister Partha Chatterjee said the government will directly procure farm products from peasants to ensure they get “a fair price". Chatterjee said growers of key crops such as rice, jute and potato will benefit from the marketing firm to be founded to support agriculture in the state. Budgetary support and distribution of the procured farm products have to be worked out, he said.